Blanchett Neon is proud to be the Edmonton Sign Company of choice for top businesses and organizations in the capital region since 1947 by providing quality signage solutions. Creation of Landlord / Developer Signage Criteria. 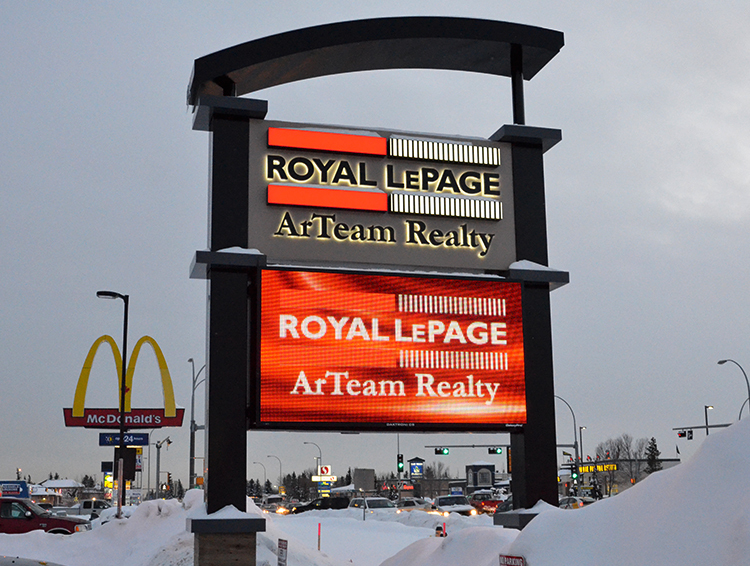 We are your Edmonton LED Sign Experts, and our experienced team will work to help any organization expand and grow their business with the most cost-effective form of advertising: LED Message Centres. Check out our Portfolio for the complete collection of Edmonton Digital Signage. Our General Manager, Gary Perry, along with our partners at Daktronics worked extensively with the City of Edmonton in the drafting of Zoning Bylaw 15892. This new bylaw replaced and updated the old Land Use bylaw to include new regulations and guidelines to allow electronic message centres to be installed in Edmonton. Learn More About Our Signage Permitting Services. Individual channel letters of all sizes have been manufactured and installed in Edmonton by a number of different sign companies, but very few are capable and knowledgeable when it comes to the manufacturing and installation of identification signage on buildings downtown. 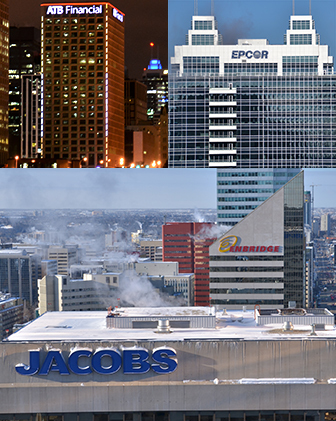 With 2 downtown Edmonton installations completed in 2013 alone, (JACOBS Engineering and ATB Financial), our recognition continues to grow internationally among firms approaching Blanchett directly for their Edmonton skyline signage. See Skyline Signage in our Portfolio. 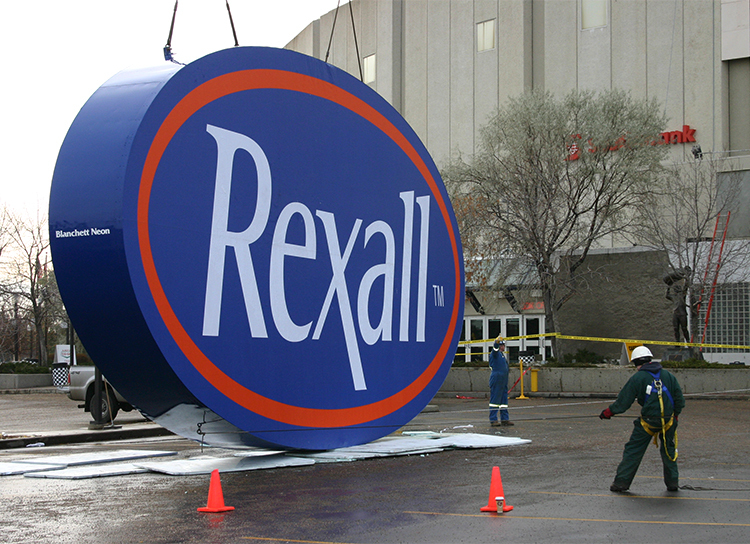 Our talented, experienced, and professionally trained Design Team are unmatched in the Edmonton Sign industry. 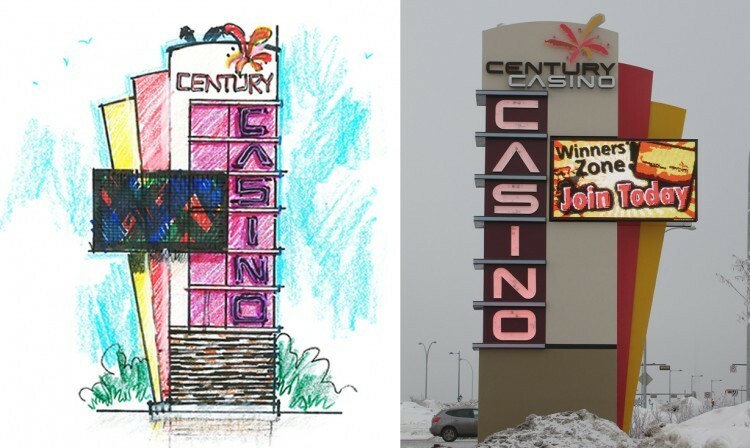 Capable of working with architects renderings, or creating completely custom proposals, we will design an effective signage solution that attracts attention to your business 24/7. The Edmonton Neon Sign Museum, the first of its kind in Canada, features a collection of historic signs that tell a story about Edmonton’s neon past. The City of Edmonton, along with the Alberta Sign Association organized the restoration and re-installation of the signs at 104th and 104th as part of a general downtown revitalization. Check out Handcrafted Signage in our portfolio for more great photos of the museum.